The Vietnamese Friendship Association (VFA) of Seattle is a non-profit organization that promotes equality in education, fosters civic engagement, and advocates for Vietnamese and other refugee and immigrant communities. The organization focuses on supporting students and families, engaging leaders and working with diverse communities to support systems changes. CiviCRM is the user friendly and intuitive solution they had been looking for to manage events, offer an easy online payment processor, be able to run reports and create targeted groups. VFA has seen tremendous growth in terms of donations and has built their donor database using CiviCRM. They have better engagement with their donors since they can accurately track contributions in CiviCRM, tailor communication based on a contact’s donation history and effectively manage the promotion and follow-up of events. CiviEvent has saved the VFA a lot of money because in the past they used "a la carte" programs like Eventbrite and Brown Paper ticket to help with event management and these both kept a portion of the ticket price. VFA also benefits greatly from CiviReport to track who is donating, how much, and when. VFA needed an intuitive database solution to primarily manage events and fundraising. Using a WordPress website, they needed to integrate the database to their existing site and create a better online payment processing system. VFA's fundraising became more sophisticated from when they started with CiviCRM and their needs grew beyond the basics. When that happened, they realized that they needed to enlist some regular help and technical support to continue to get the best use out of CiviCRM. 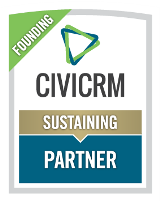 "CiviCRM is very user friendly and after struggling with using Salesforce for a year, I found CiviCRM straightforward and designed for non-profits." Before implementing CiviCRM, VFA chose to use Salesforce as their CRM. The VFA staff found Salesforce to be “cumbersome” and it was not intuitive. They also used programs like Eventbrite and Brown Paper ticket to help with event management and these both kept a portion of the ticket price. After a year, they decided to make a switch to a different CRM that was easier to use and encompassed all of their needs. VFA had researched several choices before making their initial choice of Salesforce and CiviCRM had been one of those options. The staff found CiviCRM very simple to use “out of the box” and liked that it was open source.